Did you know you can make tasty, healthy milk from oats, rice, almonds, hazelnuts, seeds, legumes, coconut, soya and even hemp? You can even buy a few of these options from your local supermarket. However, many people still believe that being vegan means you have to give up milk. 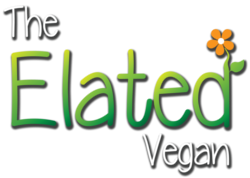 This is not the only misconception people have about the availability of vegan substitutes, which is why Elated promotes mainstream veganism. Imagine the impact it would have, if powerful, viable companies focussed their extensive distribution channels, warehousing facilities and advertising budgets on manufacturing and marketing plant-based milks. Danone Ultra Mel (diary custard) ran a competition “Wish Upon a Smile” where they promised to make your wishes come true. … that mainstream dairy suppliers (including Danone) produce, market and distribute plant-based milks, desserts and other substitutes for all of their current dairy product ranges. These goods would at this stage only be vegan by accident. First prize will always be to purchase truly vegan products from companies that are exclusively vegan managed, run and owned. However, to insist that unless you do so you are not an ethical vegan, is simply out of touch with the world we live in. We need to look at the bigger picture here and remember the aim of being vegan. Is it to be pure, 100% vegan idols? No. It is to liberate animals from the nightmare of animal agriculture, save the planet and heal our health. It is estimated that only 1% of the world’s population is vegan. This group is largely made up of strong-willed individuals who are willing to venture off the beaten path to explore health shops and organic markets for more product options. Yes, being vegan is easy, but it takes a certain personality type to be at the forefront of a new movement. 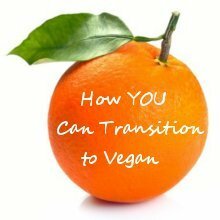 If we genuinely want the other 99% of the population to become vegan, then we need to make veganism easily accessible to the masses and transform the vegan movement from a fringe culture into a mainstream trend. This requires getting vegan products into as many retail outlets as possible, at the most competitive rates, and manufactured by reputable companies that have invested millions in their brand loyalty campaigns so that their goods will appeal to the general public. The prevalent tendency in the animal movement is to blame the multinational corporations for the exploitation of animals. Yet, they are not the enemy. They do not wake up in the morning planning to torture and murder innocent victims. They are simply focused on turnover and profit margins. When we buy their non-dairy brands we are rewarding the plant-based brand division of that company for producing a vegan-friendly product, and helping it gain market share within its own company. From their perspective they were investing in their WhiteWave business unit, the producer of Alpro and Silk, which had higher profit margins and faster growth prospects than their Fresh Dairy Direct business unit. However, they were also, albeit inadvertently, making veganism more attainable to the general public. 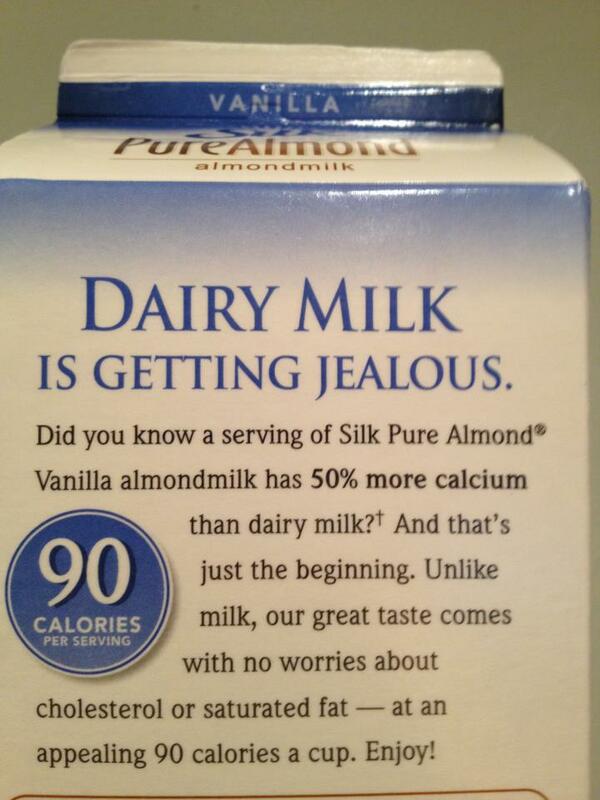 Inter-brand, light-hearted rivalry was apparent on the Silk PureAlmond milk box which proudly displayed the message “Dairy milk is getting jealous” and extolled the virtues of almond milk having 50% more calcium than dairy milk, while being free from cholesterol and fat. Over time as people move towards a more ethical way of life, the sales of non-dairy alternatives will increase and the sales of dairy products will decrease. The dairy industry will naturally begin to diversify and move towards producing plant-based options. They will follow the money. So, come on South Africa, let’s start a groundswell of demand for vegan-friendly dairy substitutes. Let’s ensure they become easily obtainable for everyone. Many of us want to change the world and heal all of its ills at once. The best place to start is by helping the world go vegan. So many of our current problems of greed, violence and hatred will be solved if the majority of the population lived vegan lifestyles. Veganism is the most important and effective step we can ever take towards a non-violent, peaceful way of living. You don’t have to grow dreads, become an anarchist and live on a vegan commune to be vegan. It is absolutely possible to be vegan right here, right now, in your everyday life in the midst of mainstream society.